I'll divide this post into categories, because I love organizing things. I think the trick to buying books for kids is to make sure you are picking fun but somewhat obscure titles. Fun because then the kid is more likely to like the book, and somewhat obscure because that increase your chances that the kid doesn't already have the book. The only downside is that implementing this approach for last minute gifts requires that you have either Amazon Prime or a bookstore with a really good children's section. Obviously, I think my own books fit this description nicely. 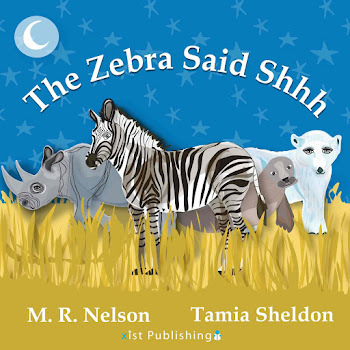 Petunia, the Girl who was NOT A Princess would be good for a preschooler or early grade schooler, and The Zebra Said Shhh would be good for a toddler or preschooler. But this post is not just another chance to plug my own books! I have some other suggestions, too. I Kissed the Baby! is a good choice for the board book set. It is fun for the grown up to read, and you get to kiss you baby at the end. For the picture book set, take a look at A Mammoth in the Fridge , which has a great twist at the end that still makes Petunia giggle. Another good option is The Beasties , which both of my kids have loved. It would be a particularly good gift for a kid who has had to move house or is afraid of the dark. Neither of those describe my kids, though, and they still really liked it. Chapter book readers who can handle a little bit of tension and a lot of adventure will probably love The Monster in the Mudball. Pumpkin does not like tension, and found this book a little scary- but she liked it so much that she finished it anyway, which is high praise from her. We've abandoned a lot of books due to tension! Giving books to grown ups is harder than giving them to kids, I find, because grown ups are pickier. But here are some ideas to consider. Oomph: A Little Super Goes a Long Way is a hugely fun book, and might be a good option for a sci-fi fan or even a comic book fan (although it is not a comic book or graphic novel). If you know a feminist who hasn't read Roxane Gay's Bad Feminist yet, consider it as a gift- particularly if your friend is someone who enjoys a lot of pop culture. Biomedical scientists, particularly ones who have worked in drug discovery, might really like Breakthrough: Elizabeth Hughes, the Discovery of Insulin, and the Making of a Medical Miracle. It was fascinating and frankly a little fun to compare the free-wheeling development of insulin into a drug with the much more regulated processes I know today. These books are "useful" books, and as such can backfire terribly if given to someone who takes the gift as a subtle dig and not a "here's something useful!" But, for people who you know really well, useful books can be great options. I, for instance, love getting useful books. One Christmas, before Mr. Snarky and I got married, we were in Arizona with my family for Christmas. I opened my gift from Mr. Snarky to find a practical book about personal finance and a new trackball. I was delighted- I needed and wanted both things. But it definitely raised the eyebrows of one or two members of my extended family! Cookbooks are probably the safest of the useful book gifts. If your recipient is someone who needs tasty, quick options for weeknights, Robin Miller's Quick Fix Meals is a good option. Another nice one is Fast, Fresh & Green , which I keep checking out from the library in my quest to find good vegetable recipes that I can make in the time I have and that I might actually like. I've liked the recipes I've tried from it so far, but I only get through one or two each time I check it out, so I haven't vetted it extensively. 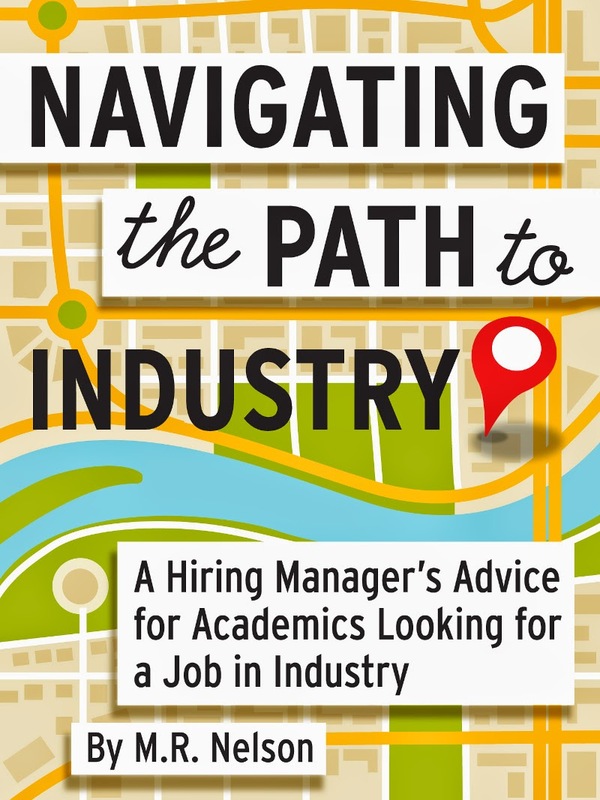 Of course, Navigating the Path to Industry is an option if you know someone who has decided to leave academia and needs some practical tips. You're definitely on shaky ground with a gift like this, though- you want to be sure the recipient has already expressed an interest in job searching! The ground gets even shakier with Playing Big, but if you know a woman who is trying to figure out how to reach for her most ambitious goals and/or who would be open to a gift that nudges her in that direction, this is a good book. I plan to write up a full review soon. The only caveat I'll give now is that the book contains some things like guided visualizations, which might be too new age-y for some people. It is easy to skip them, though. I mostly did, and still found the book useful. I wish I'd read it about five years ago- I found my way to a lot of the same insights, but I think that process would have been faster and easier if I'd read this book. All of those options are ones for which a physical version of the book exists. If you're open to ebook gifts, you can always check out Tungsten Hippo for more ideas. Your turn: share you book gift ideas in the comments! I was excited to see that The Amazing Adventures of Chilly Billy and its sequel, Footprints in the Butter, were reissued this year. The books follow the adventures of the tiny man who lives in your fridge and makes sure the light comes on when the door is opened. When he gets ill he has a warm. My Dad used to read this to his class (ages were probably 7--9) when he was teaching. The introduction to the book suggests that if you walk past your fridge but then suddenly turn back and open the door, you may see Chilly Billy. One of the kids in my Dad's class broke his arm running past the fridge trying to do this. Second hand copies were selling for more than $100, with good reason! Another vote for The Zebra Says Shhhh. And I got Navigating the Path to Industry for #2 and she read it before an interview. We've already opened the books my mom sent for Christmas and birthdays... big hits so far: The Book with No Pictures, What If?, Uno's Garden. 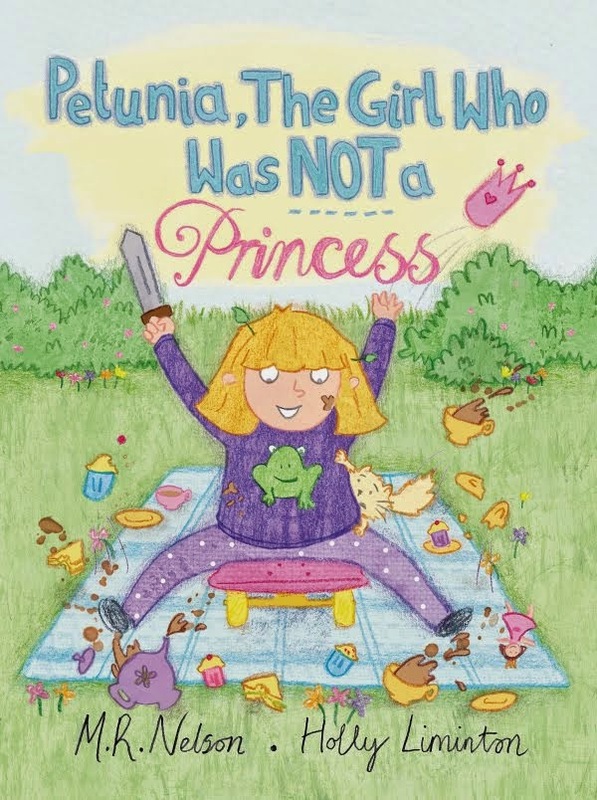 DC2 didn't like the Jane Yolen "Not all princesses" book as much as she likes "Petunia the girl who was not a princess." And I just passed The paperbag princess to the gift closet because I don't like the underlying assumptions therein. I'm not sure why my mom sent us princess books-- DC2 is much more into superheroes and hasn't hit princesses yet. I think the counter-culture princess books have a really hard time hitting the right spot. I'm a far bigger fan of warrior princess legends. And that one story about a kitchen maid getting a princess to cry in order to break a curse-- that's my favorite princess story. We also have mixed thoughts on Rosie Revere Engineer. It has both good and bad messages. The Book with No Pictures is a big favorite of Petunia's. Shhh... she's getting it for Christmas. It is a BIG hit, so anyone planning to give it should either make sure the recipient doesn't already have it or include a gift receipt! We're actually returning two princess books (the paper bag princess is the other) and a unicorn book. I'm not crazy about the underlying assumptions of the two princess books and the Uni the unicorn book seems to be about religion or the Easter bunny. In any case we don't encourage our kids to believe in things that don't exist. We don't discourage them either. But we certainly don't force the belief that unicorns are really real on them. I think Amazon steered my mother wrong this time with their you may also like feature. P.S. Pumpkin would probably like Escape from Mr. Lemoncello's library. The author, in typical American style, carefully removed any possible tension. Sort of the polar opposite of Willy Wonka. DC1 read it three times *in a row*. Jenny Offill has some great kids books - "17 things I'm not allowed to do anymore" and "11 experiments that failed" are hilarious. My 8yo is really into graphic novels, and "Giants Beware" has been read several times. She's getting "Zita the Spacegirl" for Christmas this year. Adult books - Randall Munro's new "What If?" book is wonderful and has lots of stuff not to be found on the website. Jo Walton has written some really cool stuff, and her latest, "My Real Children" is the sort of scifi that you can hand to someone who prefers fiction and is a wonderful book about love, life, sexual orientation while really highlighting why gay marriage is so important while being a really really fun book. We got What If from my in laws, and Mr. Snarky is having fun reading some of the entries to Pumpkin. I'll have to check out My Real Children. Thanks for the recommendations!